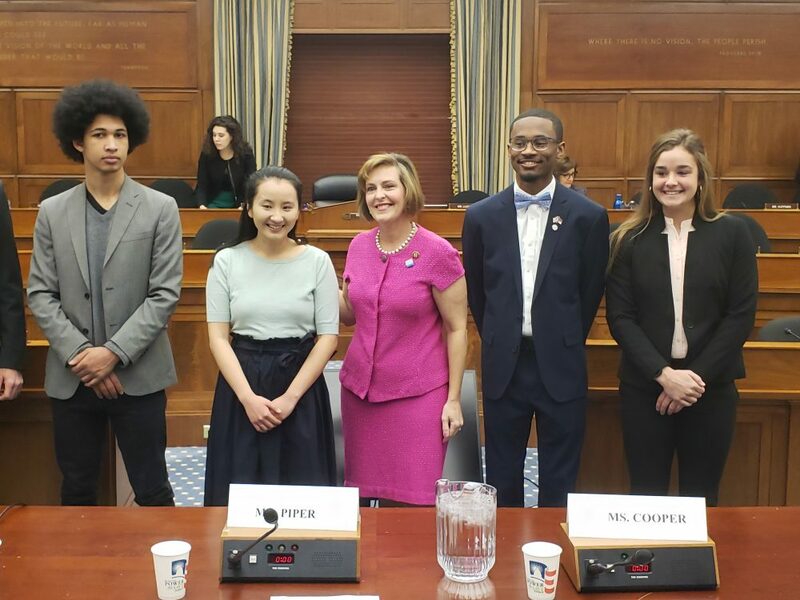 At the House Select Committee on the Climate Crisis’ first-ever hearing on April 4th, some of this country’s most powerful climate advocates – all of them young people – delivered moving testimony laying out the urgent need for lawmakers to support climate change action. And with a vote to recommit the United States to the Paris Climate Agreement expected later this month, the timing couldn’t have been better. These activists were here speaking their truths to help drive that point home. They are doing their work to take care of the people and places they love. It was inspiring to see them not only use the power of storytelling to share with such conviction, but also stand firmly by their beliefs even with some pretty pointed questions sent their way. 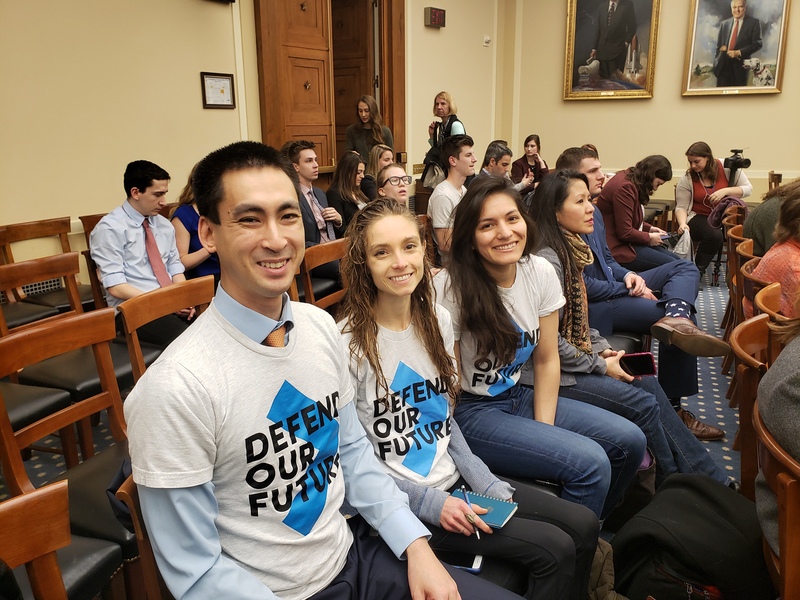 We were at the hearing to help lift up the voices of young people across the country who are demanding their leaders take bold action on climate. Aji Piper pointed out systemic issues that are inherently intertwined with environmental issues. Melody Zhang so poignantly testified that those most affected — people of color, women and people living under the poverty line — are the ones hurt the most by climate change, while contributing to it the least. 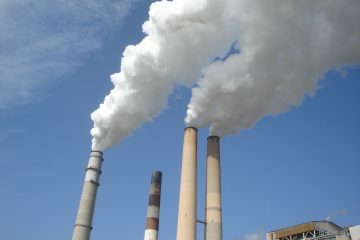 Lindsay Cooper of Louisiana said climate change was a challenge her state lives with every day. Chris Suggs’ presence was its own whole inspiration! His community had to rebuild after being hit by Hurricanes Florence and Matthew and he stepped up. His ability to organize so affectively with his community is the definition of resilience. These fierce activists came straight out and said what they believed — whether or not it was what these members of Congress wanted to hear. That is powerful. It is also necessary. Climate change is a collective issue that we must address now — in a transformational, intersectional and just way. That starts with making sure our elected officials take serious action to keep our planet and our communities safe. The Climate Action Now Act is a good first step. It gives Congress the opportunity to take action against climate change, starting with a recommitment to the Paris Climate Agreement. As we heard from the young climate leaders, we can’t sit by and let climate change continue to ravage our communities. No matter where you are in your life, if you have the privilege to have some sort of platform or even the privilege to create one, you have the responsibility to take action to share that privilege in some way with those that don’t. That includes this planet and the hurt we are putting it through. That includes every living being affected by climate change. Melissa Martínez is a Tom Graff Diversity fellow at Environmental Defense Fund.